We have created some beautiful wedding stationery designs for you to browse through. Remember all our wedding stationery designs can be altered to match your colour scheme and we can change around any aspect of the wedding menu, invitation or RSVP card to your requirements. If you prefer to go with a design that’s specific to you and that no one else would have seen before, then give us a call. 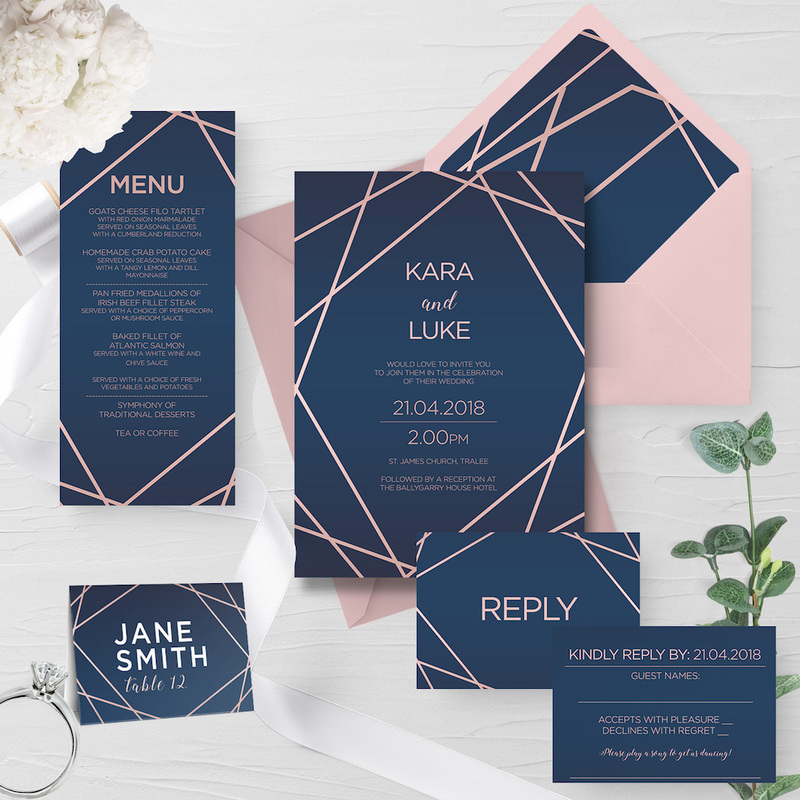 Whether you know exactly what you want on your wedding stationery or just an idea, we can work with you to create that unique wedding invite just for you! Please note that we do not have a sample of every design which is shown on our site. The Wedding Stationery Portfolio is for inspirational purpose's only. When a wedding sample pack is ordered you will receive a selection of samples that have been selected to showcase the options available to you for artwork and printing.